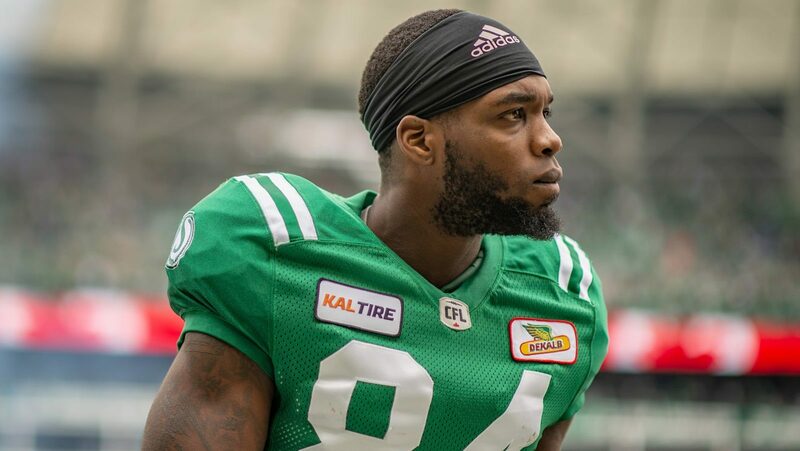 Seven months ago, Jordan Williams-Lambert was hoping just to win a spot on the Saskatchewan Roughriders’ roster. Now the 24-year-old receiver is hoping to win the award as the CFL’s most outstanding rookie. Williams-Lambert is the West Division’s nominee for the award, which is to be presented Thursday during the Shaw CFL Awards show — one of the events scheduled for Grey Cup Week in Edmonton. Ottawa Redblacks kicker Lewis Ward was Williams-Lambert’s competition in balloting by members of the Football Reporters of Canada and CFL head coaches. “It’s exciting to see that people recognize the hard work you put in and the things you show them on the field,” Williams-Lambert said from his off-season home in Indianapolis. Williams-Lambert’s rookie season ended Nov. 11, when the Roughriders lost 23-18 to the Winnipeg Blue Bombers in the Western Semi-Final. His introduction to pro football came in 2016, when the Ball State University product signed with the NFL’s New Orleans Saints as an undrafted free agent. The 6-foot-3, 228-pounder spent the ’16 season on the Saints’ practice roster, but was released with an injury settlement in August of 2017. 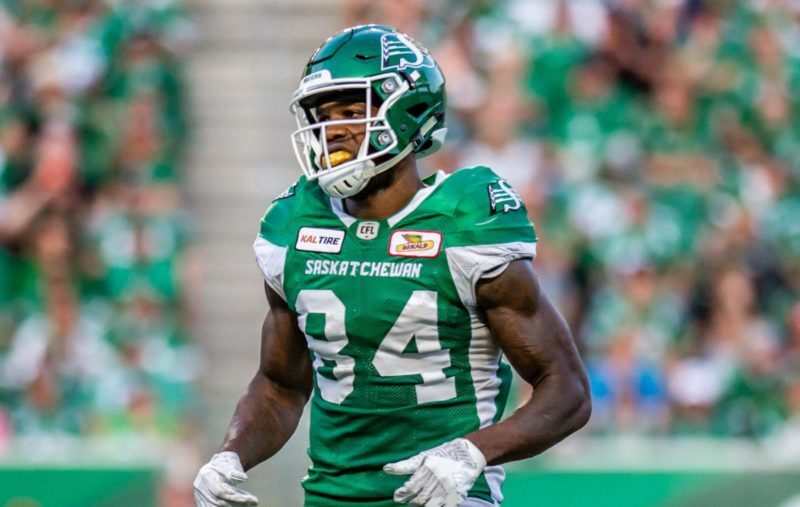 This spring, he attended a Roughriders free-agent camp in Akron, Ohio, and earned an invitation to the team’s mini-camp in Bradenton, Fla. After a solid showing there, he was invited to Saskatchewan’s training camp in Saskatoon, where he was up against some veteran competition for a job. The Roughriders kept Williams-Lambert and released veterans like Bakari Grant and Chad Owens. “I just wanted to do what I could so that I was in the best shape possible to make sure I could have my best performance when it came to training camp,” Williams-Lambert said when asked if he thought he was in tough to earn a job. 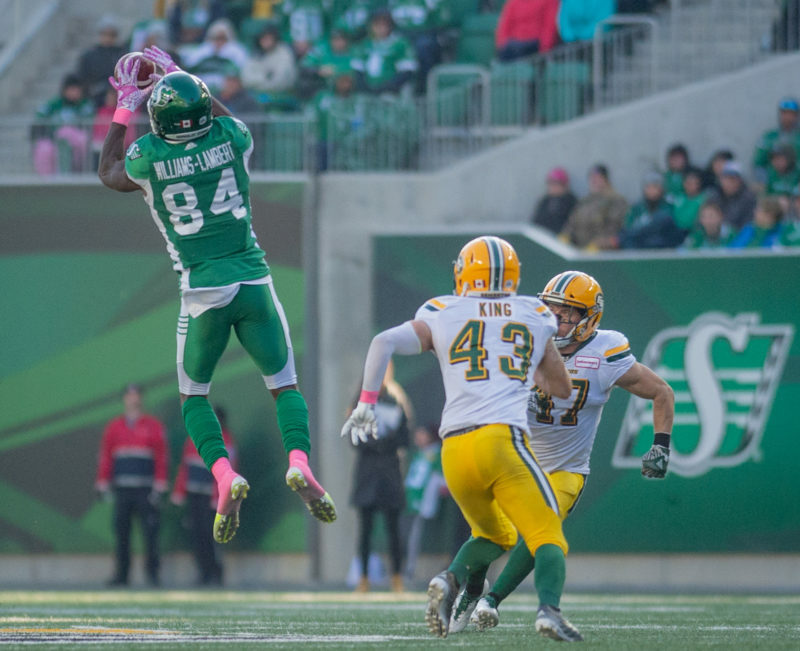 Williams-Lambert appeared in 17 regular-season games as one of the Roughriders’ starting slotbacks and registered 764 receiving yards on a team-high 62 catches. He also tied for the team lead with four touchdown receptions. The whole time, he was learning things about his new surroundings — and about himself. Receivers coach Travis Moore, a fellow Ball State alumnus, helped Williams-Lambert learn the CFL game and learn how to be a CFL player. Veterans also helped the freshman with those lessons, while fellow rookie receivers (and Williams-Lambert’s roommates) Shaq Evans and Kyran Moore helped him adjust to life in an unfamiliar city and country. “The mental aspect that comes along with the game was something I really had to grow in, and I felt I did grow as we got further into the season after I had injuries and we had some losses,” Williams-Lambert said. Part of the foundation for Williams-Lambert’s 2018 season, and his mental approach to it, was laid by his mother, Cecelia Lambert. “She raised five kids and sent them all to school,” Williams-Lambert said. “To do that, with most of the liability on her, was something I looked up to and something I respected. “I had to find a new motivation and find a way to support myself and pick myself up,” he said. “She was really my main support, kept the positive energy flowing through me and basically showed me to never give up. And now he’s up for one of the CFL’s major awards. In Williams-Lambert’s mind, the nomination affirms not only the work he did on the field during the 2018 season but also the effort he put in over the preceding years. “A lot of people won’t see the times you were released by a team, the work you put in, the injuries you have to recover from or the preparation you have to put in to learning routes and getting your body right,” he said.